Wow I am loving doing this quilt. This is my first time of making bias bar stems. I know I haven’t finished it but just thought I had to share. I didn’t have a bias bar, so turn it into the right way I used a needle and thread. I think they turn out alright. I like how it blended in the with frog and give the view of the frog hanging on to a stem. I still have more to go on it. This desigh was created by Liz Stanway from Teddlywinks. 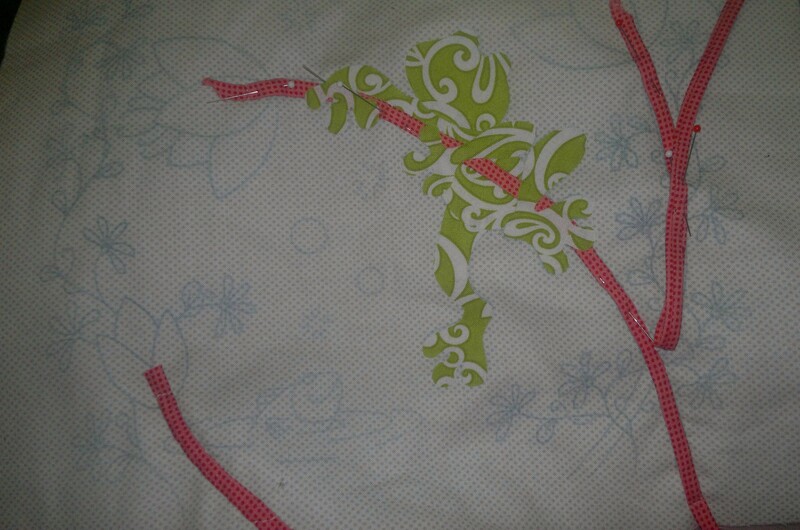 This entry was posted in Liz Stanway, Quilt Aid 2011, Teddlywinks and tagged Liz Stanway, Quilt Aid, Teddlywinks. Bookmark the permalink.